Investment opportunity! One and half story home with attached three car garage and oversized floored attic. 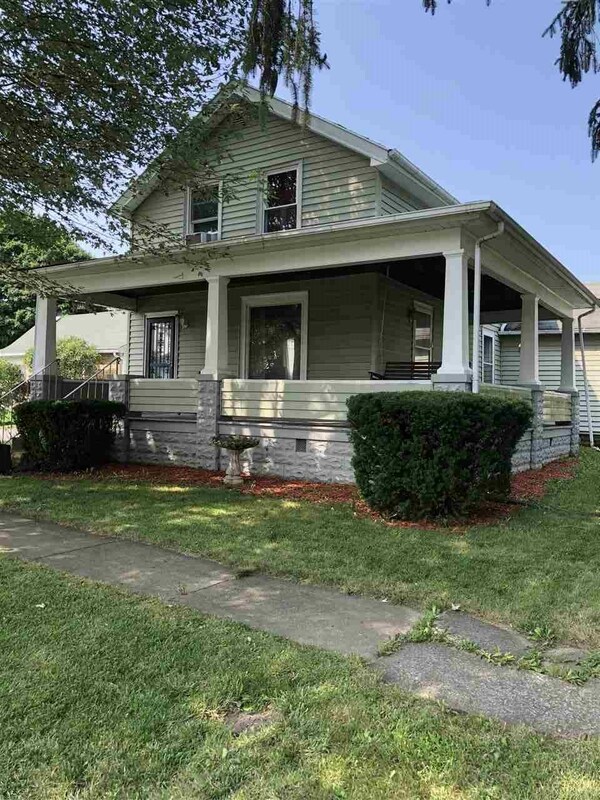 Home offers 3 bedrooms, one bath and a great wrap around front porch. Back yard is fenced and play set stays with the home. Great home away from all the hustle and bustle yet easy access to I 69. Property being sold "as is".